I've got the mail from Coursera that IBM have issued me with a badge. I just had to click on the button to give consent for Coursera to share my details with IBM and Acclaim. First the button didn't work..
Then Acclaim said they don't have any of my details. 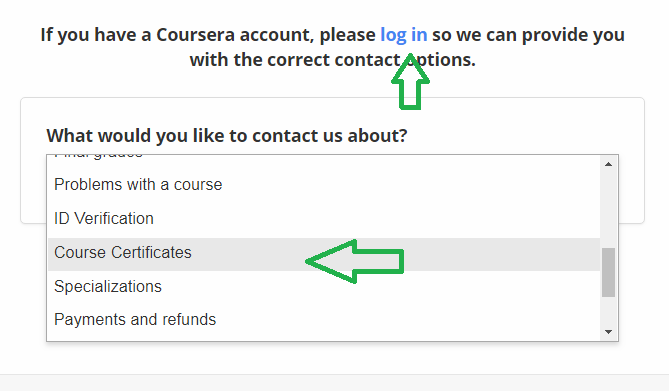 .Then Acclaim said I must open a ticket with Coursera, gave me the link (https://learner.coursera.help/hc/en-us/requests/new?ticket_form_id=120983), but there is no way that I can see to open a new ticket! It always take you back to previously discussed topics and not one of them helps me with my problem.. Anyone? When you want to log in to your Coursera account, you will get the Captcha. If you're already logged in, you won't see it again. Besides, some learners may not get the blue "live chat" option once they go to the Help Center. Click the "log in" link. 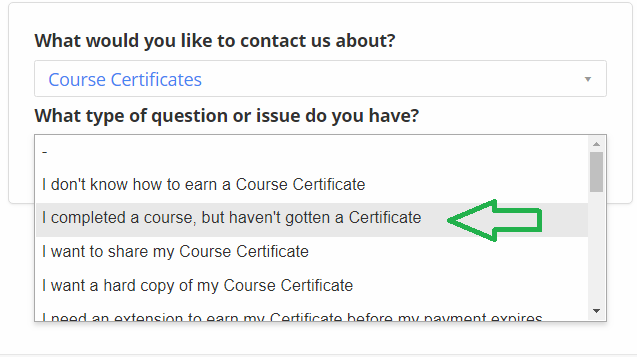 Select the "Course Certificate" option because the badge issue is, in fact, related to course completion. Select the shown question, for example. Now, you should be able to view such a window. Type your question in the box and explain that you have not received your IBM badge. @Tina van der Merwe , did you log in? If you don’t, you won’t be able to proceed. The Help Center is the correct place to go to for help with this problem. 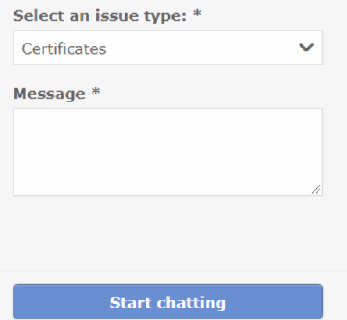 After you log in, look for a blue button that says “live chat” so you can be in direct contact with someone. Let us know if you resolve this. Thanks. I just logged in. At the top of the screen it says "Coursera learners are currently experiencing trouble resetting passwords and logging in. In order to login you must follow the Captcha." But there is no Captcha? And no blue button or anywhere that says "live chat". Got a hold of them and problem is sorted out. Thanks for letting us know that it's eventually sorted out. ThNks@Tina van der Merwe for telling us this was resolved. And @Maryam , you are amazing ! Your explicit directions with the screenshots were perfect! On behalf of us all, thank you! @Maryam this explanation with the screenshots is great! Many people seem to have trouble working out just how to navigate the Help pages. Maybe it should be placed somewhere in a suitably titled thread so people can easily find it when they are having difficulty.